Jio pack to expire soon? 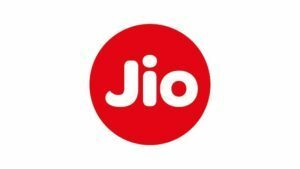 Looking to get as much discount as possible on your next Jio recharge? 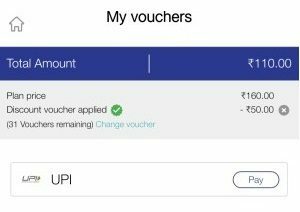 Here we bring you an offer to cut down your Jio recharge cost with this MyJio app trick. Apply Rs 50 discount voucher on Rs 149 plan with AllTrickz. How to Apply Rs 50 discount voucher on Rs 149 plan? 2. Now click on “My Vouchers” section >> Buy. 3. Now, uncheck Rs 399 plan and select Rs 149 and Rs 11 plans >> Proceed. 4. On Payment page, select your Rs 50 voucher and apply. 5. 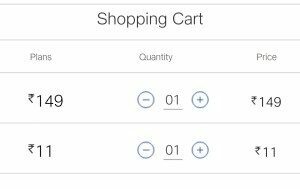 You’ll have to pay Rs 160 – Rs 50 = Rs 110 in total. 6. Pay with any payment method and done. 7. You’ll get Rs 149 Plan + Rs 11 Plan(400 MB) in only Rs 110.